Out on PC, PS3 and Xbox 360 now. UPDATE 2: The PC Battlefield 3 beta is available to download from Origin now. UPDATE 1: The Battlefield 3 beta is available to download from the European PlayStation Store now. 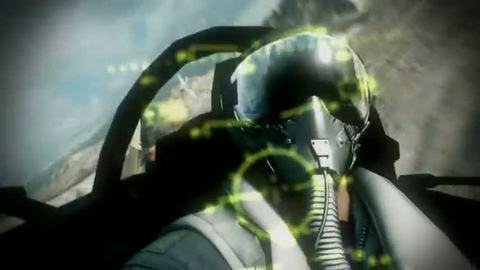 ORIGINAL STORY: The Battlefield 3 beta goes live today for all PC, PlayStation 3 and Xbox 360 owners. It's available to download from the Xbox Marketplace now. PC gamers will be able to download it at some point "during the day", DICE said. The open beta does not require a key to activate. Simply download the client and BOOM. The featured game mode is Rush, and the featured map is Operation Metro. The open beta ends on 10th October. On PlayStation 3, the beta will appear automatically on the PlayStation Network Store. On Xbox 360, it will automatically appear on Xbox Live Marketplace. On PC, it will automatically appear in the Origin application's demo page. On console, you simply download the beta and play. On PC, you first need to install the Origin client and then install the beta from within the Origin client. Origin is not required to play on PS3 or Xbox 360, DICE said. But for PC, Origin will be used to distribute the beta installation and run the game and therefore is necessary to play. You won't be able to carry forward your stats from the beta into the final version of the game. "We are still fine tuning the ranking system and we don't want to give beta players an unfair advantage when Battlefield 3 launches," DICE explained. You will keep your soldier name, though. "Number of pay-to-win mechanics in SC2..."
Shortly after getting Xbox One backwards compatibility.